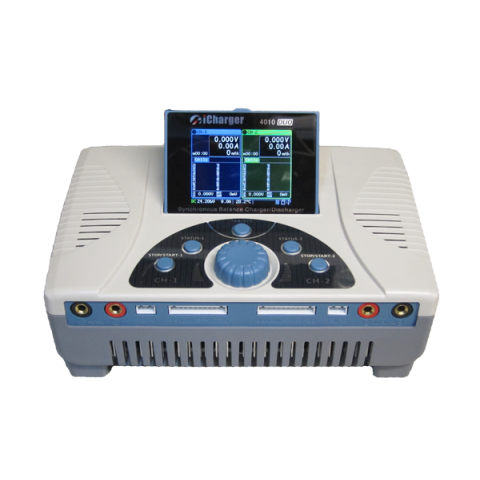 The powerful iCharger 1010B+ delivers 300W (@>13.5V) and will balance charge 1- 10S LiPo/LiIo/LiFe Batteries. It will also charge up to 25 NiCad/NiMh batteries in series. The 1010B+ is extremely compact, despite it’s power and performance. The more than adequate heat sink and cooling fan ensures cool running even at high power.